YA Bound Book Tours: Blog Tour Kick-Off: All I've Never Wanted by Ana Huang! 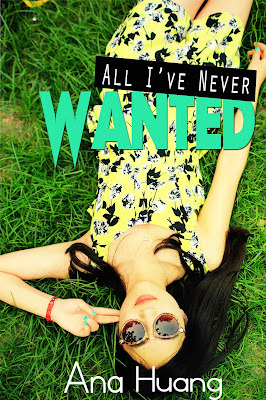 Blog Tour Kick-Off: All I've Never Wanted by Ana Huang! The Scions were the four richest, most powerful guys at Valesca Academy, and they ruled the school with iron fists. Everyone wanted to date them or be them...everyone, that is, except Maya Lindberg, who just wanted to avoid them until she could graduate. She almost succeeded, until an ill-advised outburst on her part put her right in the Scions' path. Just like that, one became her fake boyfriend, one her unwanted matchmaker, one her guardian angel, and the one she couldn't stand the most? Yeah, he's her new housemate. A Young Adult romantic comedy that explores what happens when a girl gets everything she never asked for, including a puppy, a new wardrobe, and, possibly, even true love. Ana Huang, better known as ACRL37 on Wattpad, primarily writes Young Adult and Romance. She started writing her first novel, All I've Never Wanted, when she was sixteen; it was originally inspired by the Asian manga Hana Yori Dango (also known as Meteor Garden and Boys Over Flowers). Her second novel, If We Ever Meet Again, was loosely based on her own study abroad experiences in college. Her stories currently have a combined view of over 20 million on Wattpad. Besides reading and writing, she also enjoys politics, brunch, and traveling. Blog Tour Kick-Off: Hunter by Renee Donne! Review Copies Available: Everealm by J.D.W.! Book Blitz: The Glass Mermaid by Poppy Lawless! Book Blitz: Destroying Angel by Missy Wilkinson! 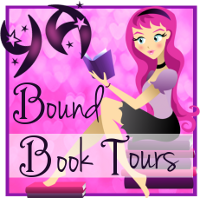 Blog Tour Kick-Off: Haunted Echoes by Emma Bloom! Blog Tour Kick-Off: Connected by Kat Stiles! Release Day Blitz: Superstition by Lucy Fenton! Release Day Blitz: Haunted Echoes by Emma Bloom! Blog Tour Kick-Off: Drawn by Chris Ledbetter! Trailer Reveal: Break The Spell by A.M. Bostwick! Blog Tour Kick-Off: Naked by Stacey Trombley! Blog Tour Kick-Off: Decree of Hope by Beth Fred!